The latest SIG Embryology Campus, held in Nice in November, described gamete and embryo assessment as 'The Holy Grail' of embryology. Four young members of the SIG Embryology were among the many participants and they here provide their feedback. Briefly, I enjoyed the availability of speakers, the agreeable number of participants, the timing of the presentations and the time dedicated to the questions, and the meeting app, which included slides of speakers. The overall organisation of these three days and the topics discussed were perfect. I came out of the meeting with reaffirmed confidence in some practices, and - most importantly - with new perspectives on research projects. A very 'Nice' time! The first two sessions emphasised the importance of a proper gamete (sperm and oocyte) assessment. These sessions covered novel approaches, such as sperm selection with hyaluronic acid binding or with microfluidics system (as noted by Jackson Kirkman-Brown, 'sperm moves towards the corners!'). Next, a detailed review of morphological parameters associated with oocyte quality described large vesicles of the smooth endoplasmic reticulum (SER) and giant oocytes as the most severe. The potential role of cumulus cell transcriptome analysis as a non-invasive proxy of oocyte developmental competence was also discussed. The second day focused on embryo selection. Speakers detailed novel aspects such as fertilisation markers or, as explained by Roger Sturmey, metabolomics for embryo quality assessment. Giovanni Coticchio proposed that cytoplasmic halo and pronuclear morphology and position should be considered for embryo selection. Special importance was given to time-lapse imaging, where Thomas Freour and Denny Sakkas offered an excellent debate highlighting the pros and cons of this technique in routine practice and introduced the new concept of 'videomics'. In the afternoon, speakers offered relevant insights on embryo selection by mitochondrial DNA load and the current state of the art of PGT-A. The day ended with the junior session (oral or poster presentations) which proved a great opportunity not only to give visibility to our work but also to discuss and receive feedback on our research results. On the Saturday, Debbie Montjean and Ioannis Sfontouris presented excellent talks on extended embryo culture. 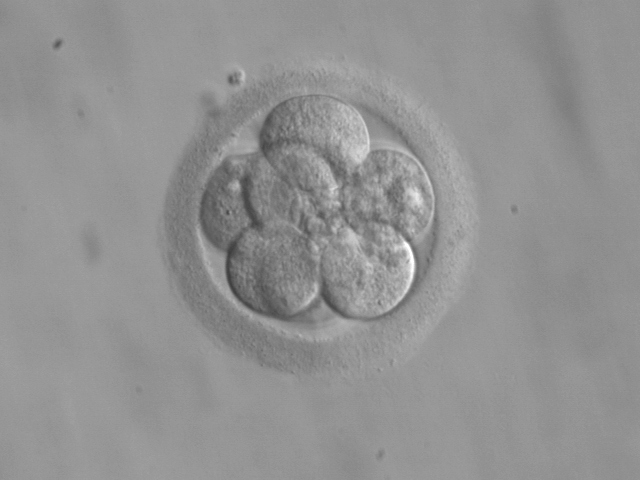 In addition, we learnt about key aspects of day-4 embryos, an essential stage of preimplantation development but not usually evaluated in the clinical routine. Finally, novel technologies for embryo selection, such as artificial intelligence algorithms and fluorescence life-time imaging (FLIM) were reviewed. We want to highlight the high quality of the speakers, as well as their availability and kindness to answer questions and discuss specific topics. Overall, the course covered topics from basic biology mechanisms (embryo metabolism and mitochondrial DNA analysis) to clinical reproductive outcomes. Therefore, we think that both clinical embryologists and basic scientists were satisfied with the course, as proven by the high interaction between speakers and audience. Finally, we would like to congratulate the SIG-E co-ordinating board for the high success and organisation of this course. One we will repeat for sure! Overall, it was clear from this meeting that, despite the advent of non-invasive technologies, the vast majority of ART centres still base their choice of embryo(s) for transfer or cryopreservation on morphological assessment. Hence, embryo selection still requires strict follow-up from oocyte and sperm to the blastocyst stage, and morphokinetics must be appreciated. A detailed description of the criteria we should take into account to select, unselect or simply rank oocytes and embryos was provided. The key message is that gamete and embryo assessment must be integrated in a whole approach which includes ovarian stimulation and endometrial quality to achieve the real holy grail: the birth of a living healthy child.